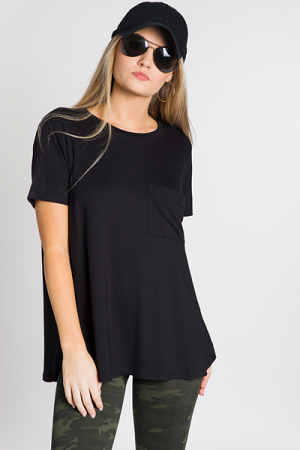 It's no secret that we love a good basic, but even more so... we love PIKOS! This one has the always flattering V neckline and a dreamy modal-blend fabric, so you'll basically want to live in this. Split hem line for an even more flattering fit. Fit is true to size. Model is wearing size small.